EasyIVR is the service division of Database Systems Corp. DSC provides products and services in the call center industry that encompasses a wide range of topics and technical information. We have provided this web directory which contains information relating to several key topics. Topics include automatic call distribution (ACD) and interactive voice response (IVR) systems plus voice broadcasting and call center technology. We hope that you find this library informative and useful in researching topics relating to our website and our company. To the extent that this information is available, we have given the proper attribution to the authors of quotes contained in each of the topics that we've presented here. This library is presented strictly as a free service to our visitors and Database Systems Corp. derives no benefit or renumeration for this service. DSC further exercises no editorial control over the quotes and statements provided by these authors and it is left to the reader to verify the accuracy and relavency of each article. Database Systems Corp. provides products and services for the call center industry. EasyIVR is the services division of Database Systems Corp. 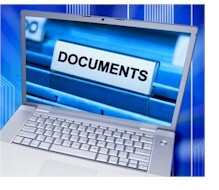 Included in this section of our tech library are our online user reference guides. Since the Company's inception in 1978, DSC has specialized in the development of software productivity tools, call center applications, computer telephony integration software, and PC based phone systems. These products have been developed to run on a wide variety of computer systems and have been tested and operational on LINUX servers and systems. The following documents are a few of the online user guides and online manuals associated with these products. Since the Company's inception in 1978, DSC has specialized in the development of communications and call center software and systems. Beginning with our CRM and call center applications, DSC has developed computer telephony integration software and PC based phone systems. These products have been developed to run on a wide variety of telecom computer systems and environments including LINUX, Unix and Windows operating systems. The following are articles and information relating to call center technology and products and services. Automatic call distribution systems are the heart of inbound call centers. ACD systems are call routing utilities for incoming calls and can be even used to route calls originated by our predictive dialer to the next available agent. Our PACER phone system comes with a complete automatic call distribution system for call routing. Business phone systems and toll free answering systems (generally 800 numbers and their equivalent) are very popular for service and sales organizations, allowing customers and prospects to call your organization anywhere in the country. 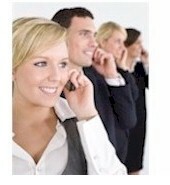 Our PACER IVR system adds another dimension to our call center phone system solutions. An Interactive Voice Response (IVR) processes inbound phone calls, plays recorded messages including information extracted from databases and the internet, and potentially routes calls to either inhouse service agents or transfers the caller to an outside extension. It enhances our phone system's current robust features of predictive dialing, ACD, and digital call recording. This 800 number system acts as a toll free answering service, front ending your phone, collecting useful information from a caller before the call is transferred to an agent. And the IVR system could fulfill the caller�s request without a transfer. The Pacer IVR software solution gives your organization a 24 by 7 capability, providing around-the-clock information to your callers. At Database Systems Corp. (DSC), we offer complete inbound call center and outbound automated phone services. Our inbound call center processes phone calls using our interactive voice response (IVR) system that answers calls without an operator. Organizations looking to reduce costs and to improve customer service can now contract their inbound 800 phone service and outbound voice messaging programs at our automated call center facility. As designers of call answering systems and phone answering service software, DSC is uniquely positioned to manage your call answering service and 800 number service campaigns saving your organization both time and money. Because our phone answering service software was created in-house, we can deliver comprehensive 800 number outsourcing quickly -- providing you with a competitive advantage in the marketplace. From external database access to web integration including XML messaging, DSC can provide very custom phone applications. Plus you will find our 800 phone service to be quite affordable. Using our PACER and WIZARD phone systems, we can broadcast voice messages and service announcements to your clients and community. Phone call messages can be automatically generated using our XML Push technology. Our phone message service can place one call or millions of calls. Pre-recorded messages can be played to either individuals and answering machines or just to individuals informing them of emergency alerts, community events, upcoming appointments, or simply notifying them of a special marketing promotion. Different messages can be played to an answering machine versus an individual. Simple to complex scripts can be developed for touchphone response. Calls can be directed to operators that are standing by or can be transferred to outside third parties. Accepting phone orders for goods and services has been a traditional business function for a number of years. The intelligent routing of calls to the appropriate sales person is a simple task for our call center phone system. But our technology goes far beyond connecting prospective customers to sales representatives. Information can be collected from the caller prior to connecting to your sales agents. In fact, the entire order process can be programmed without the customer talking with a sales person. Product availability, pricing, and order status information can all be given to the customer using simple touch phone responses. The following articles are related to retail sales techniques and suggestions, especially those articles relating to sales by phone. Customer Service is vital to maintaining successful business relationships. Providing accurate and timely information in a professional manner is the key to any call center operation. Our customer service software and phone system was built on this foundation. But the flexibility to change is just as important in this dynamic business environment. DSC call center software was designed with this concept from the very beginning. That is why call center managers, with unique and changing requirements, have chosen and continue to use our customer service software as their solution. 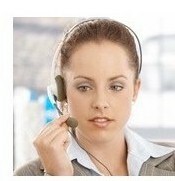 And our contact management phone service is ideally suited for call center service bureaus. When you need to quickly implement a new program or change existing campaigns, our products are the customer service solutions of choice. The following articles are related to customer service techniques and suggestions, especially those articles relating to customer service by phone. What is Interactive Voice Response (IVR) and Voice Broadcasting (VB) and how can it be applied to different ivr applications? Visit our Call Center Outsourcing web pages to learn more about these products and services.